Barb Nefer is a former writer for The Spruce, contributing articles for almost three years. 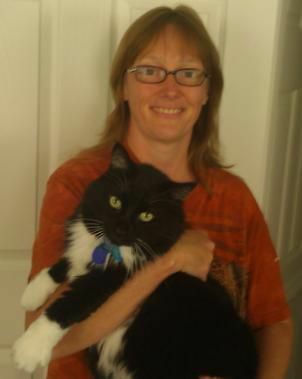 She is a freelance writer specializing in pet-related topics since the 1980s. Her articles cover everything from animal behavior to rescue groups to pet care and product reviews. She has written a book on hamsters as well as many travel guides. She has owned cats, dogs, horses, birds, freshwater fish, hamsters, and guinea pigs, and horses. She has trained horses, competed in horse shows, and instructed students in English and Western riding. Barb has also volunteered at animal shelters, helping cats, dogs, and pocket pets find forever families and participated in large animal rescue. She has coordinated holiday pet food drives with animal shelters, pet supply stores, and veterinarians' offices to collect food, toys, and treats for needy dogs and cats. She works on behalf of animal rights and is an outspoken spay/neuter advocate. Barbara Nefer has decades of practical experience with pets. She is the author of "10 Most Popular Myths About Guinea Pigs: Avoid These Common Cavy Care Mistakes" Her articles have appeared in Horse Illustrated, Horse & Rider, Equus, Bird Talk, I Love Cats, Grit, Miniature Donkey Talk, Animal Wellness, and Feline Wellness magazines.